For ease of convenience, we are dividing the books for UPSC Civil Service Preliminary Exam preparation into two categories – Essential and Reference. Books tagged ‘essential’ are fundamental books which will be highly useful to build your basics. Once you are thorough with these basic books, if you have time, you may check ‘reference books’ for additional knowledge. Also, don’t miss the links to IAS manuals, previous year question papers, free online resources for Prelims and Mains etc. The mentioned books are based on the feedback from many aspirants/toppers who found them useful for the exam. We keep updating this page when new books worth the time and money of candidate appear in the market. So come back to check this page again! General Studies for Civil Services Preliminary Examination (Paper -1) – by Pearson. General Studies For Civil Services Preliminary Examination – by McGraw Hill. IAS Prelims 22 Years General Studies Topic-Wise Solved Papers – Disha. IAS (Pre.) Solved Papers General Studies with CSAT Papers – Arihant. Books for UPSC Prelims – History. Books for UPSC Prelims – Geography. Books for UPSC Prelims – Indian Polity. Books for UPSC Prelims – Economics. Books for UPSC Prelims – Science And Technology. Books for UPSC Prelims – Environment. Books for UPSC Prelims – Current Affairs. 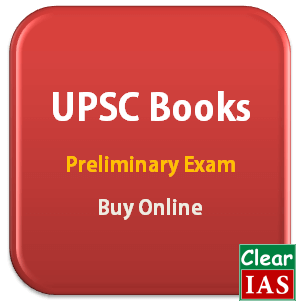 Books for UPSC Prelims – General Studies Complete Guides / Question Papers. Books for UPSC Prelims – Logical Comprehension. Books for UPSC Prelims – English Language Comprehension. Books for UPSC Prelims – Logical Reasoning and Analytical Ability. Books for UPSC Prelims – Quantitative and Basic Numeracy. Books for UPSC Prelims – Data Interpretation. Books for UPSC Prelims – Decision Making and Problem Solving. Books for UPSC Prelims – Interpersonal Skills including communication skills. Books for UPSC Prelims – CSAT Paper 2 Complete Guides / Question Papers. Note: If you are running short of time to finish the syllabus before the exam, you may better focus on concise books instead of bulky ones. You can use Modern India by Spectrum (Rajiv Ahir IPS) then, which is a small book which covers almost all major points given in Modern India by Bipan Chandra. Similarly, you may just focus on Indian art and culture by Nithin Singhania IAS, for culture topics. Clear IAS Online Study Materials. IAS Books in Hindi: List of Useful Books For Hindi Medium Aspirants. 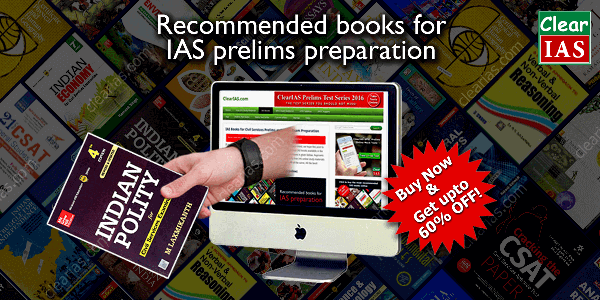 Latest IAS Books: Click To Buy New Releases For UPSC Preparation. Recommended list of UPSC books available in Flipkart. The full list of UPSC books available in Flipkart. The full list of UPSC books available in Amazon. As you may know, only when tested in an exam atmosphere with negative marking, you can improve the ability to deliver in the actual exam hall. Try for free the UPSC Prelims online mock exams by Clear IAS. This new innovative platform integrates learning with test-taking. You would be surprised to find how fast you can learn! Are there numerical subjects also in upsc prelim nd mains? help me i am confune who i start prepration of ias exam . Sir class 11 ,12 book required? Sir there are 21-22 books for ias prelims.so for preparing we read all books or not. And acc. To upsc syllabus would me get all topics in these books ex, degraphis, bio-diversity etc. How to prepair civil service exam? first you have to read Hindu paper and NCERT books. Sir plz post about marathi reference books also for upsc mains. 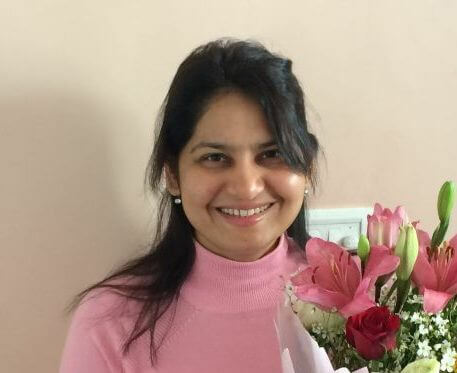 LexisNexis India, a leading publisher of legal, tax, academic and test-prep books launched a new series for Indian Civil Services aspirants recently. These bookshave been conceptualized and designed by education industry experts based on several years of teaching and content development expertise. The new series has been published under LexisNexis test-prep imprint, ‘Catapult’. LexisNexis India is also the publisher of DD Basu’s Introduction to Constitution of India, a book that has been read and referred to by lakhs of Indian Civil Services aspirants over past several years. Sir am finished my bsc nursing degree graduation. Is it eligible for upsc exam ? padhai sikhane k liye nhi ki jati hai. khud samjhne ke liye ki jati hai. vase to anpadh log bhi achcha sikhalete hai. par samjhana jaruri hai. sir i want to know about books for IAS exam i am studying at B.Sc maths hons. Sir I would like to know correct syallbus for prelims .Is it enough to study the topics mentioned in clear ias.? Where is my starting point? Pls help me sir I am so confused. Among the books suggested for the Prelims, the book, “Geography of India” by Majid Hussain seems to be for those aspirants who have decided to take Geography as their Optional Paper in the Mains. This is mentioned in the book itself. Please clarify as to how useful this book would be while preparing for Prelims/Mains (General Studies Papers). In that case, what alternative books for the subject (Geography) are to be referred to? Hi sir, how to prepare ias prelim exam and which books are study? I am tamil medium student. How to prepare ias prelim exam, which books are followed? sir, if someone passed prelim exam and failed in mains, will he appear in prelim again? Ias .. plz tell me ..how to apper ias exam..
How can i clear ias in 3 months? ClearIAS has been providing free online study materials for UPSC CSE. We hope our study-materials to give your right direction and will help you to understand difficult concepts faster. You need to supplement the same with UPSC exam preparation books, newspapers, NCERT books etc. 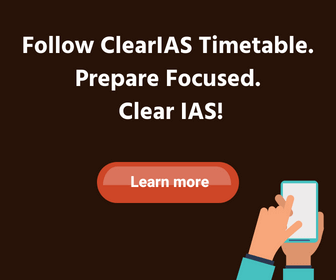 To boost your marks for UPSC Prelims, we advise you all to enroll for ClearIAS Prelims test series, which offers high-quality questions and all-India mock-test-platform. Sir,I am an average student. How much time it take to.prepare for IAS for me? Sir I am plus 3 b.sc (hons-physics)2nd yr student.I want to prepare for IAS exam.l am so confused that from which subject I could start preparation.please give me syllabus of UPSC exam for prelims and mains. U just need to smart work. Most of all a positive attitude. Work hard at tge same time. Determination and motivation is key. Read hindu express learn the style of the english language.u also need confidence. Sir i just want to know that when i am in 3 year my age is 20 . Will I give the upsc exam?? i am starting ias preparation please suggest me good books for both prelims and mains? How should i start my preparation for civil service exam…..please suggest…..
sir tell me how to get all material of ias exam without money. it will be soft copy r hard. Sir jitna ap log books padhne k liye kahte hai usase to yahi sabit hota hai Ki rattu tota ban jaye student plz sir koi solution nhi pata hai to faltu Ki advice n de student Ki help kare n Ki confuse.AGER KOI student 6th-12th NCERT HI PADHEGA TO wo gyani nhi balki rattu Ho jayega.JAISA Ki Mai manta Hu Ki UPSC samjhadar ko select karti hai nki rattu ko so give actual information and techniques that would help all excited student. sorry for any mistake by me I have no intention to heart anybody by above note. Dear friend .read ncert from 6th to 12th does not mean to memorise every page of it. The idea behind read ncert is to revise the basics of all the subject which we tend to forget . You can do selective reading for ncert but your basics need to be well prepared before exam. How it feels if you lose 10 marks questions in prelims just becuase you forgot some basic formula of maths . Reading best books for upsc exam has its own advantage . I have read some of the best upsc books which are very useful in ias exam preparation. sir,how can I get the 10 years back previous question papers for IAS preparation? Plz guide me for only one book ( which contain all subjects )for ias pre exam..